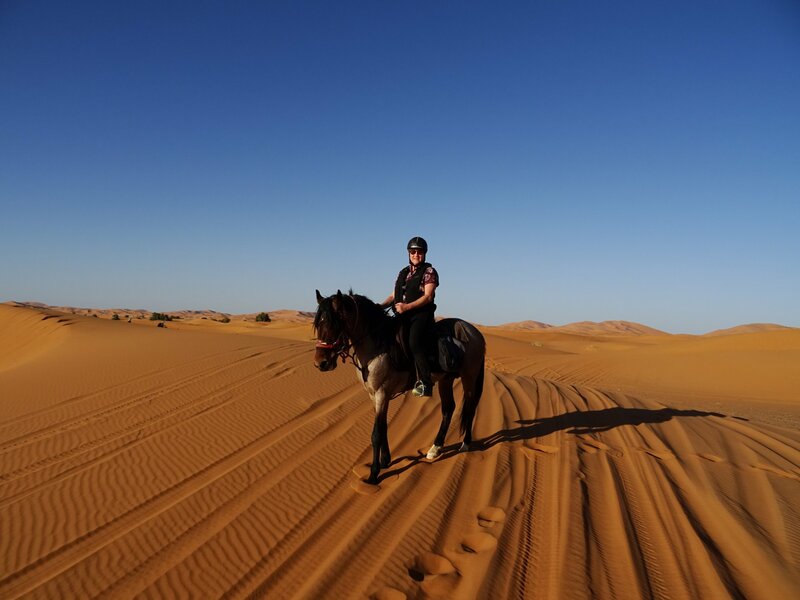 The day time desert temperatures are perfect for riding and the terrain is great for fast, exciting riding. 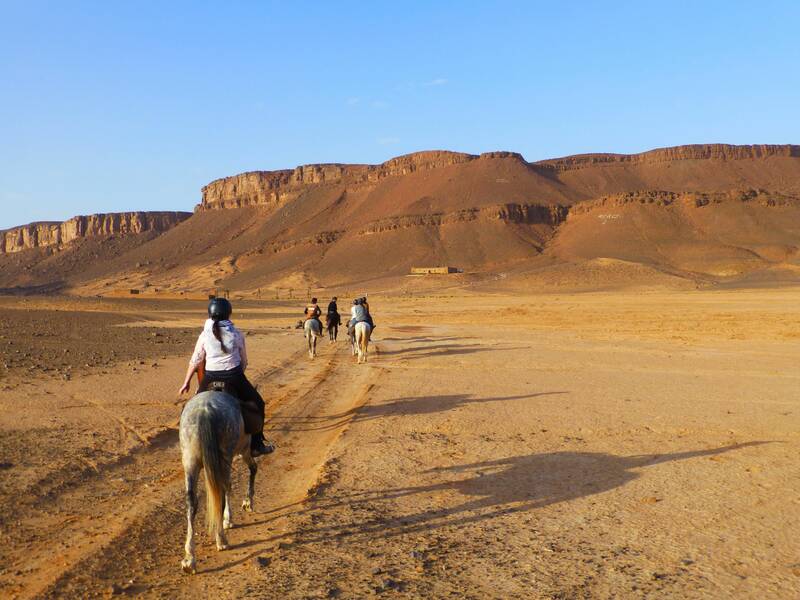 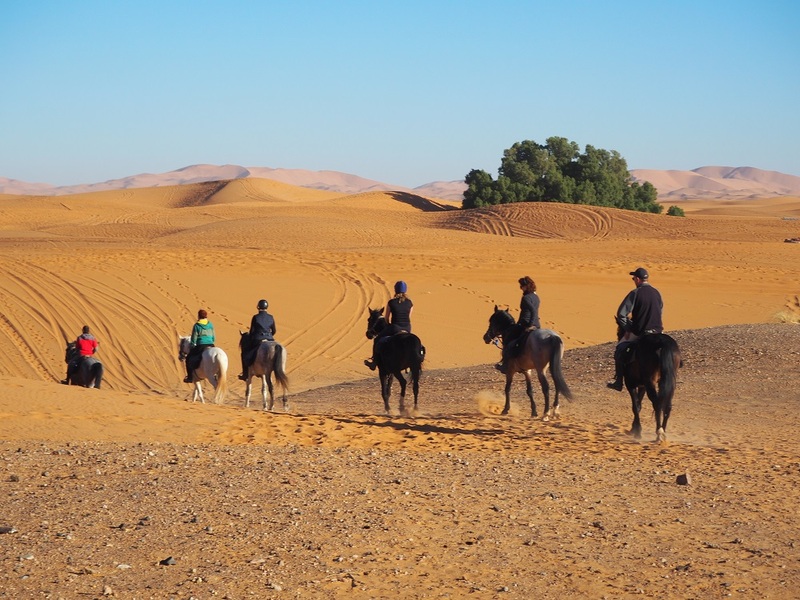 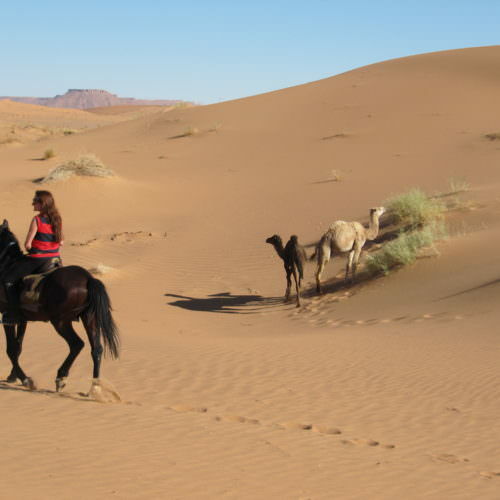 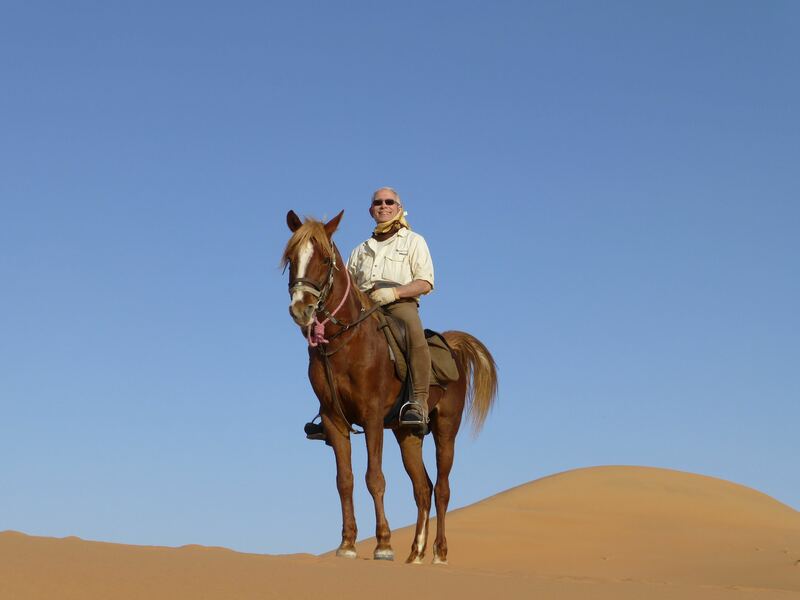 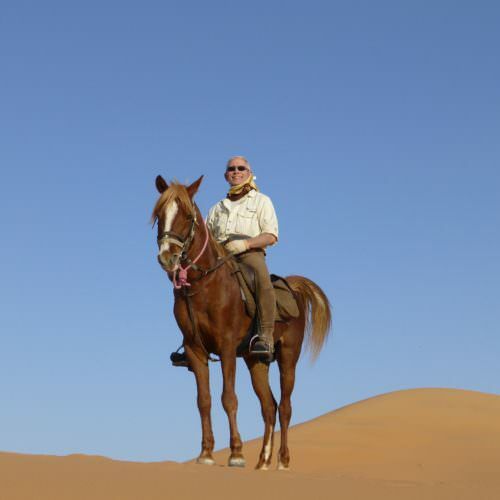 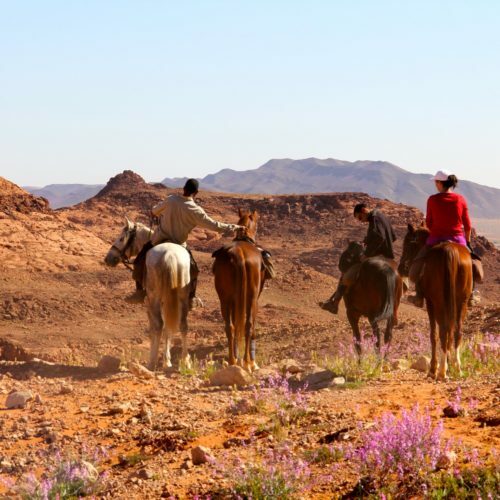 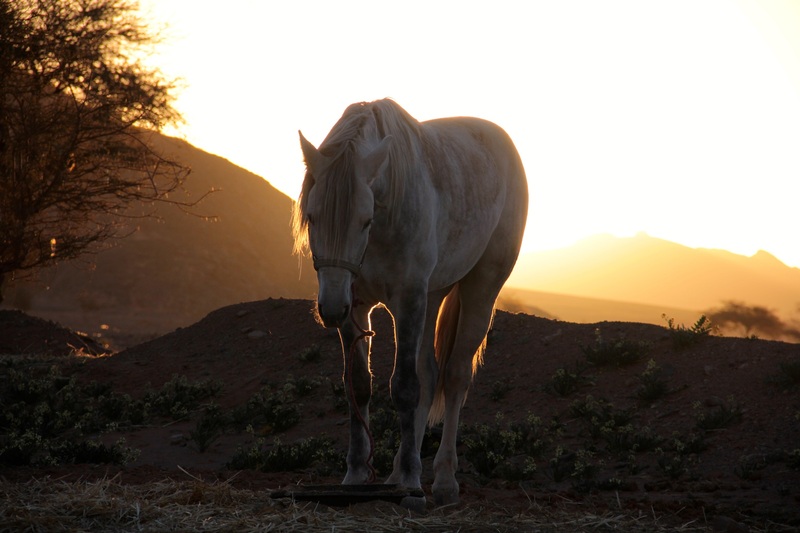 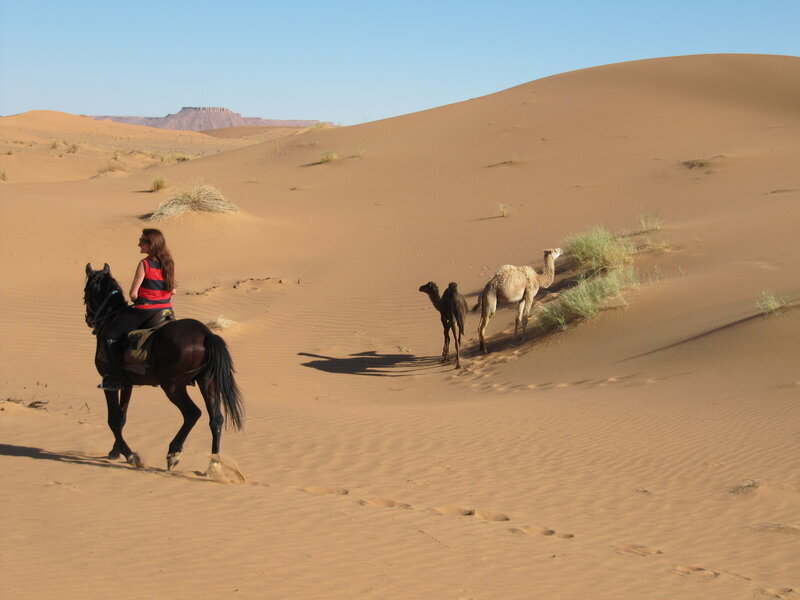 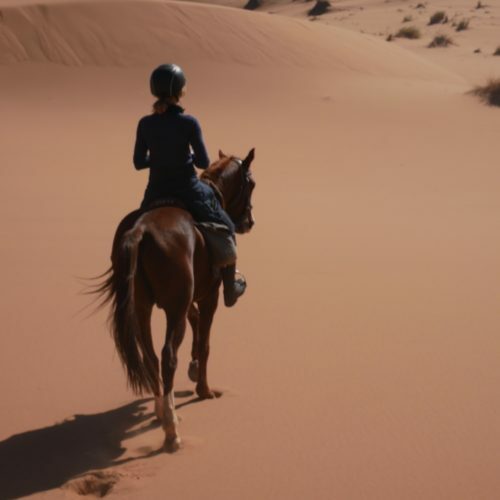 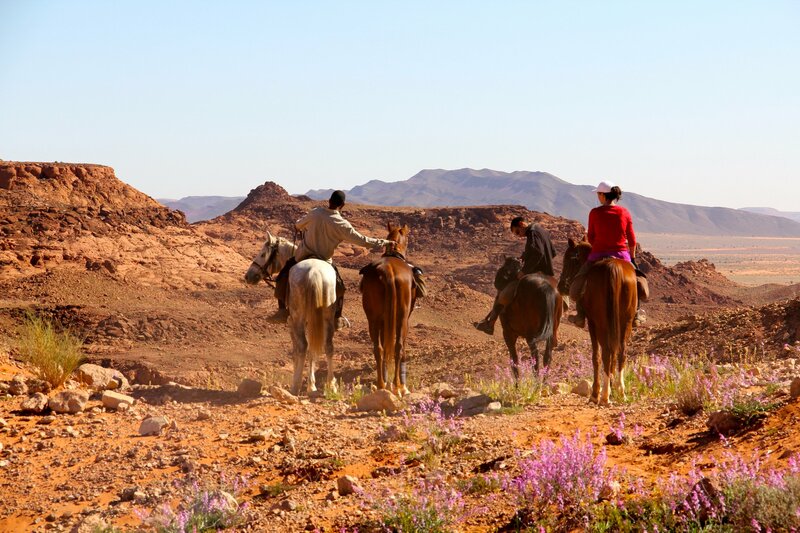 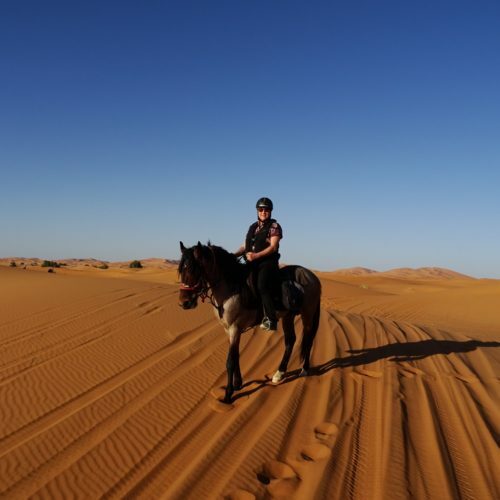 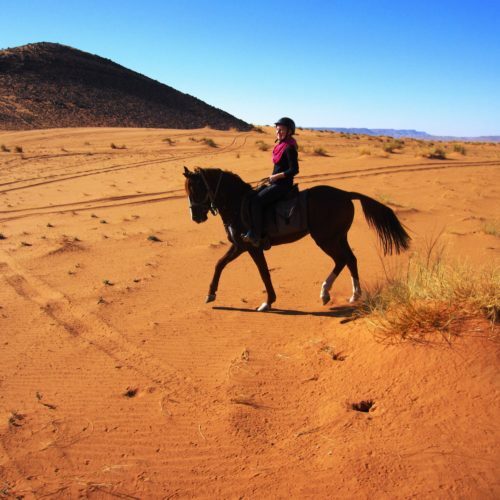 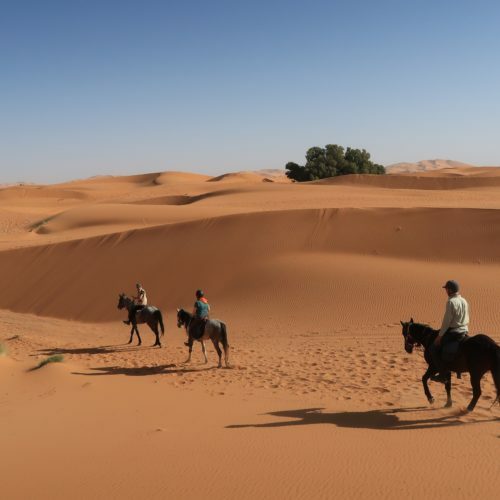 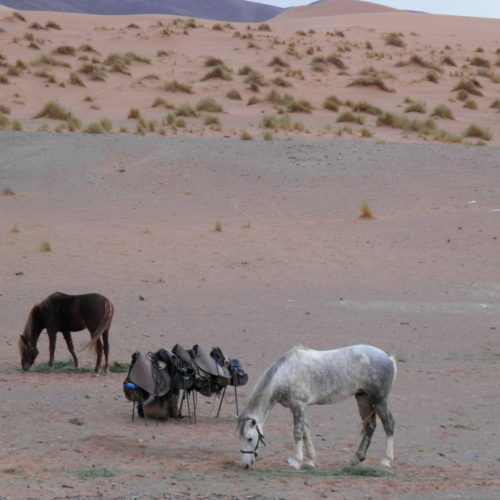 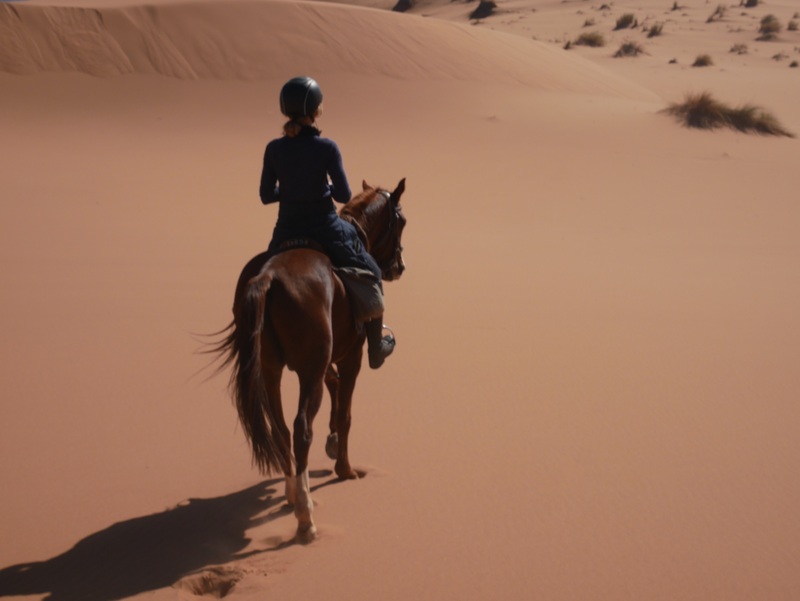 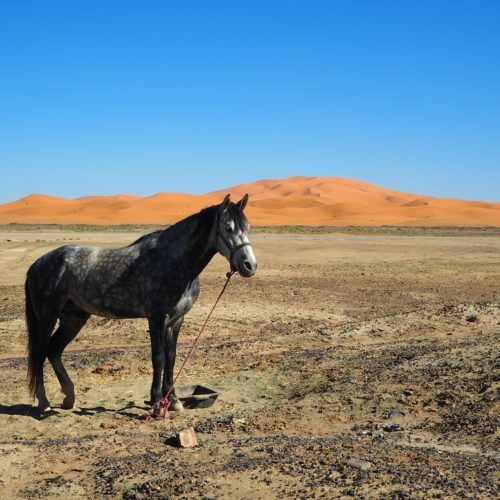 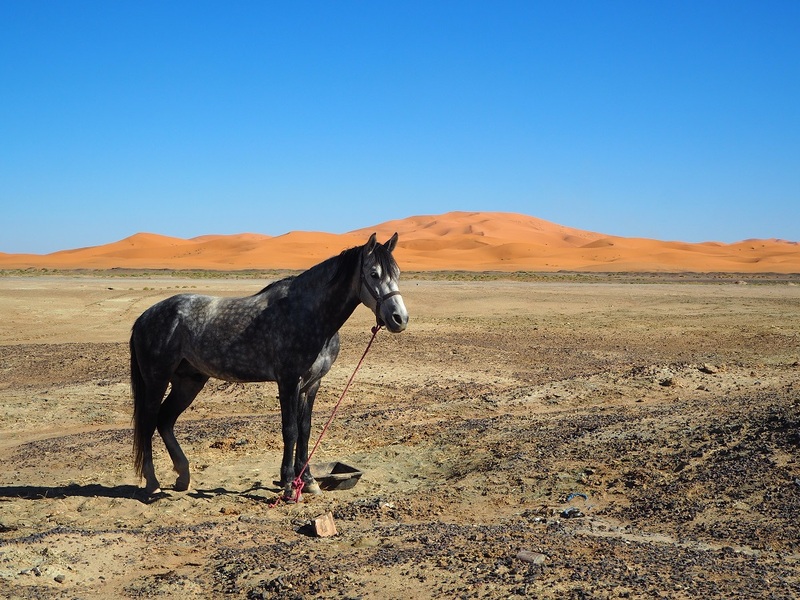 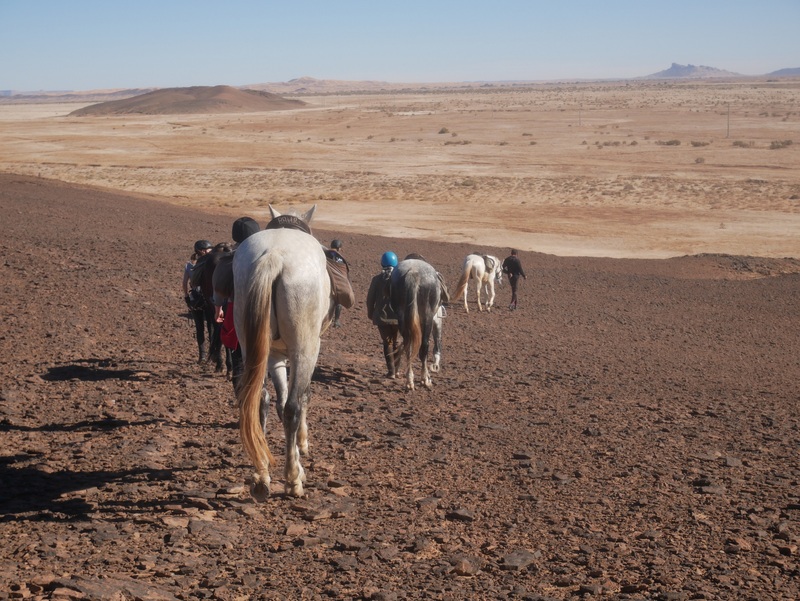 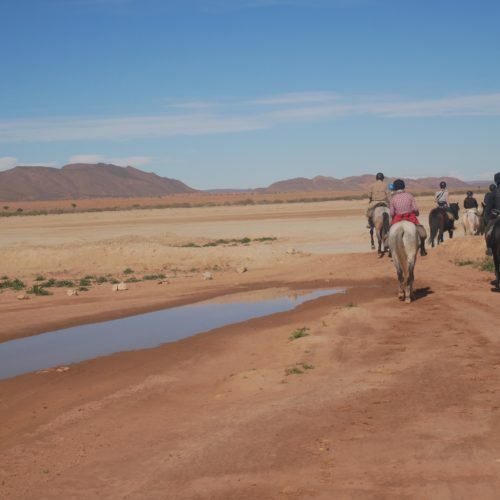 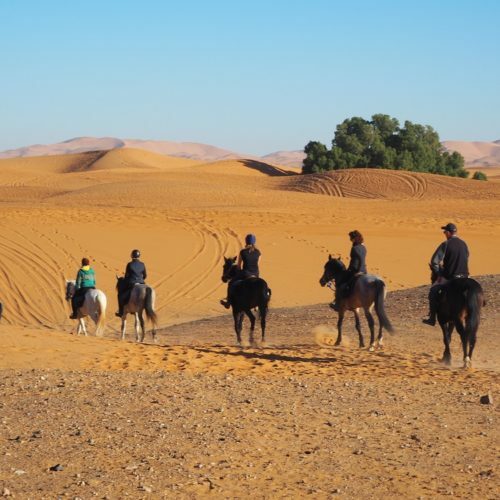 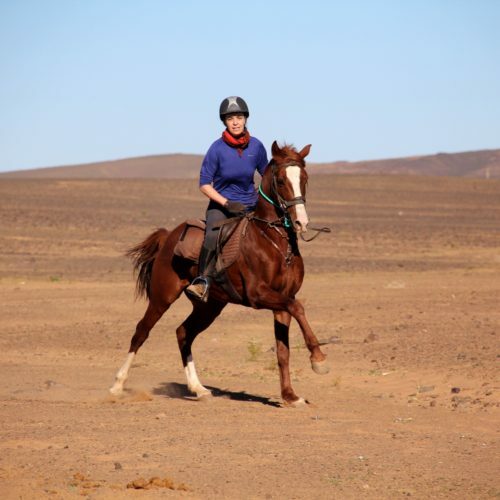 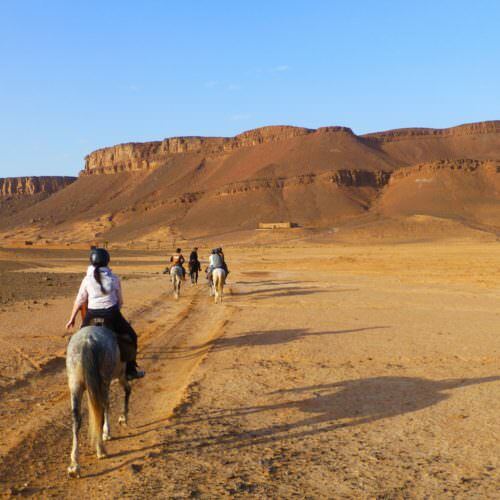 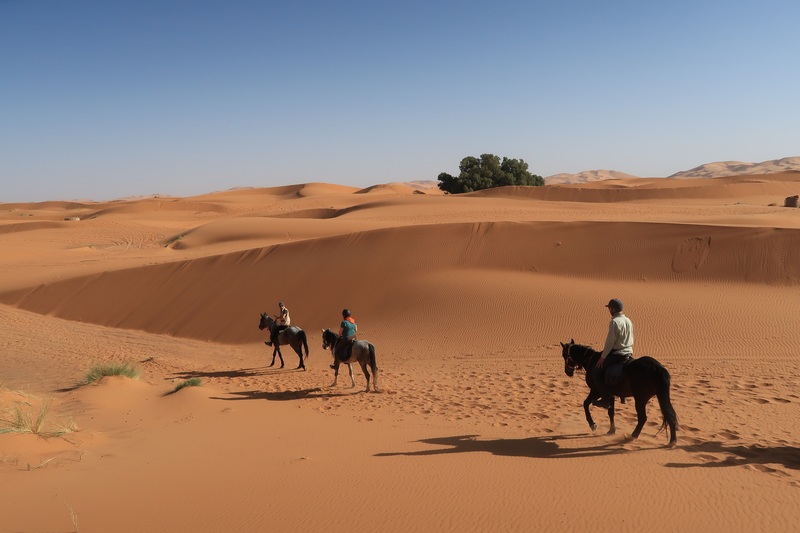 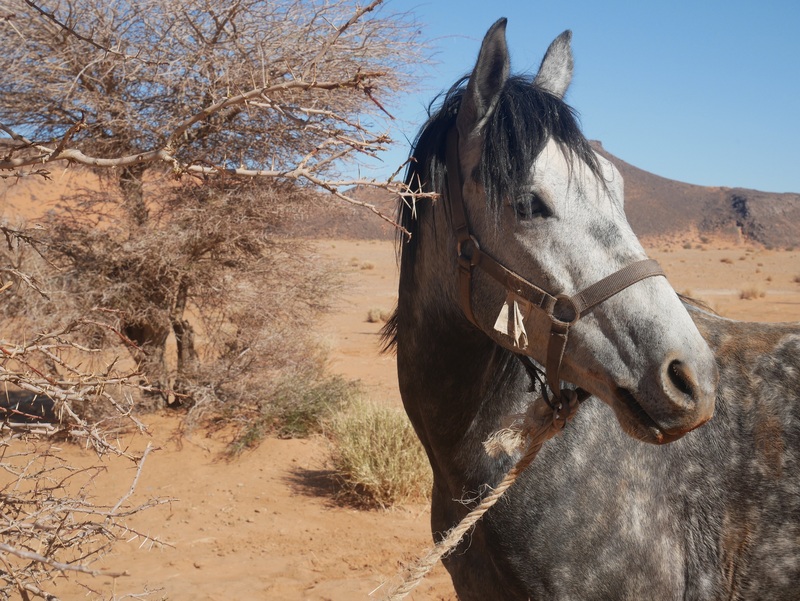 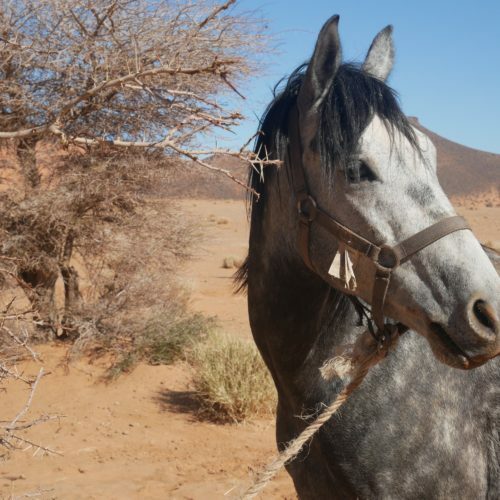 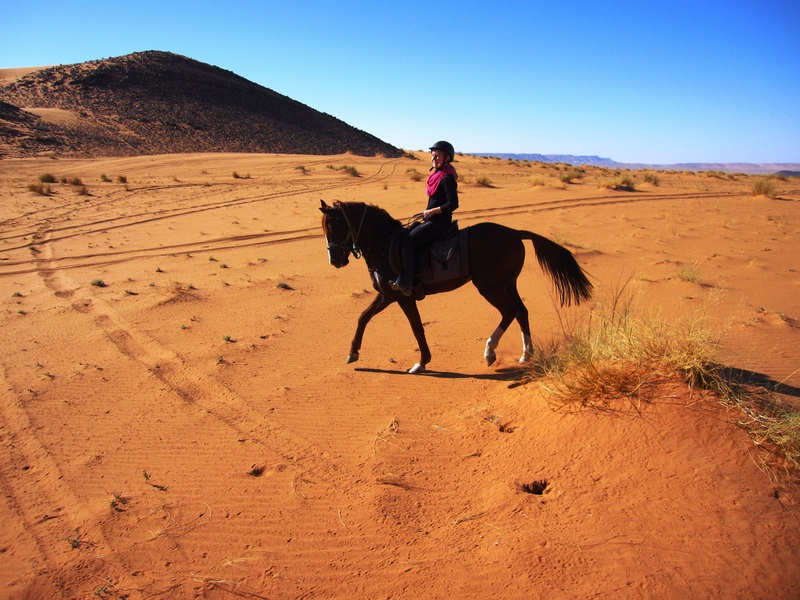 On this itinerary you will ride to a different riad each night with plenty of cantering in-between. 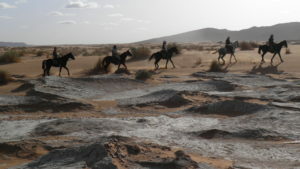 The landscape is ever changing as you ride through dry and austere mountains, sand dunes and occasional small oasis. 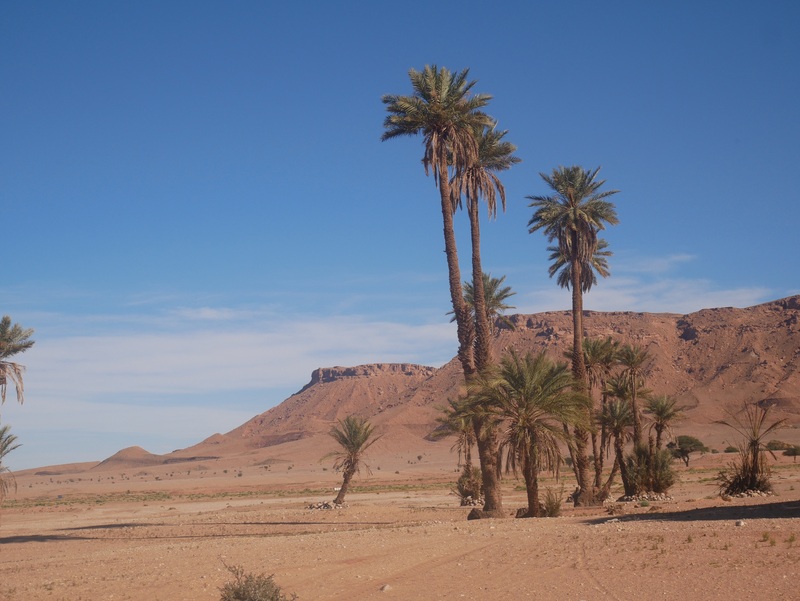 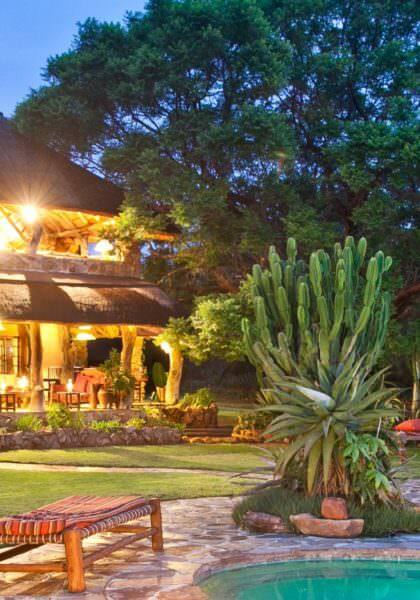 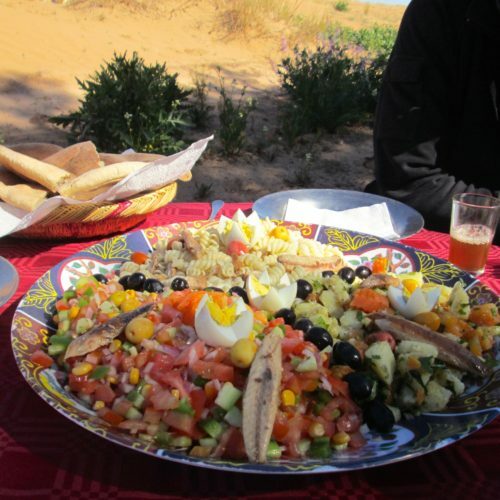 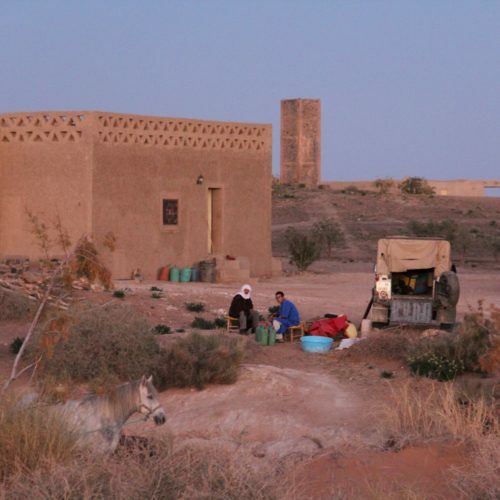 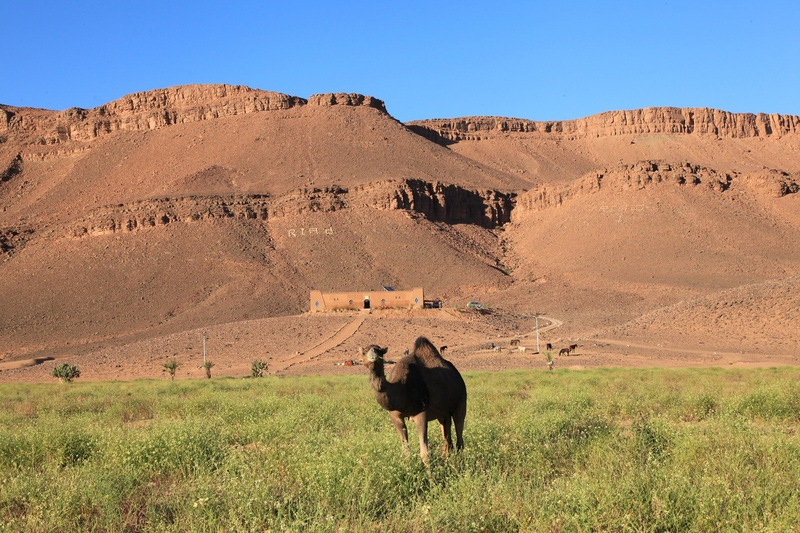 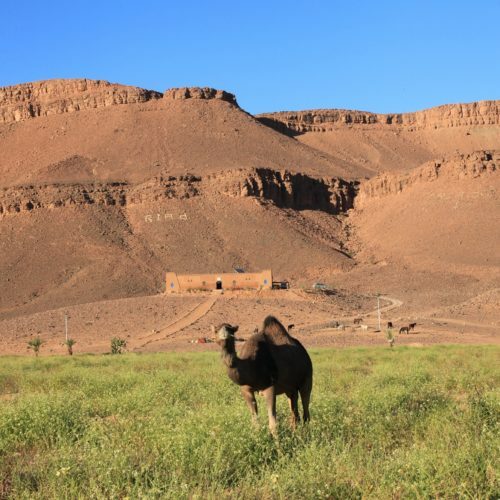 Each night you stay at a comfortable riad or lodge in small communities in the desert. 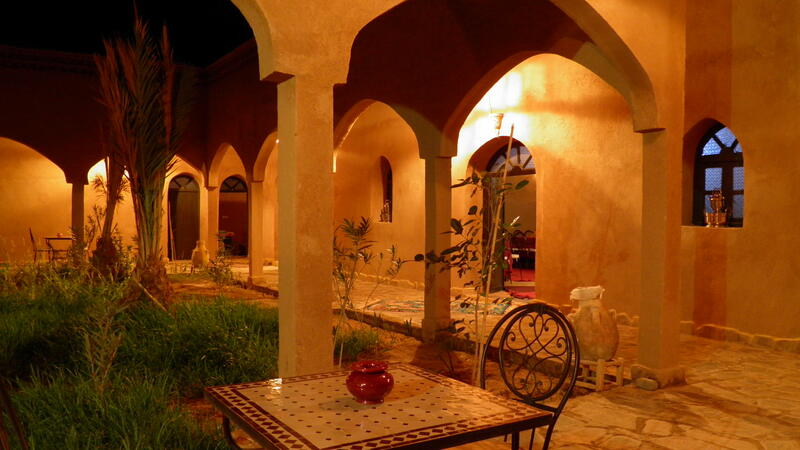 The number of rooms are limited and we can't always guarantee a single room. 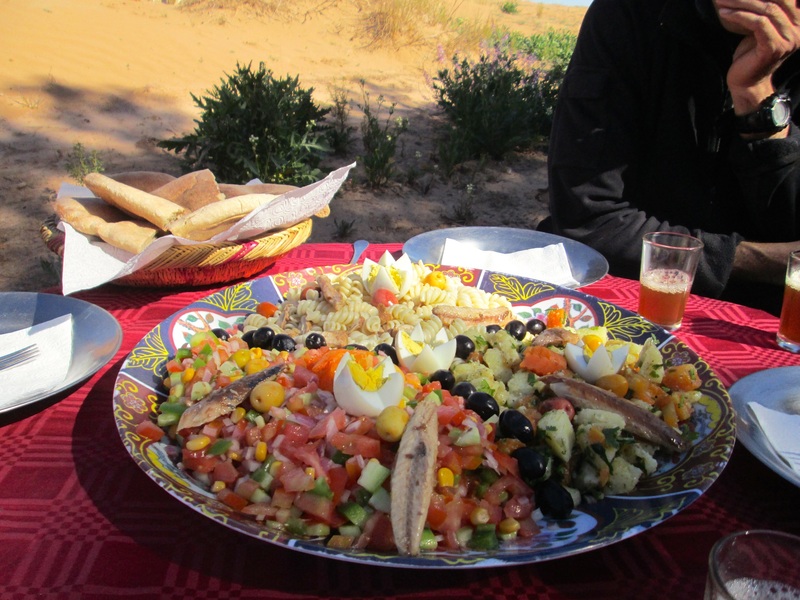 You should be prepared to share. 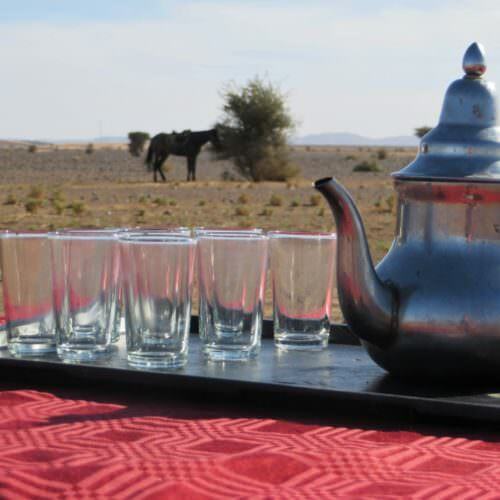 Alcohol is not provided and not easily purchased during the trail, nor is it always sold at the smaller riads or guesthouses. 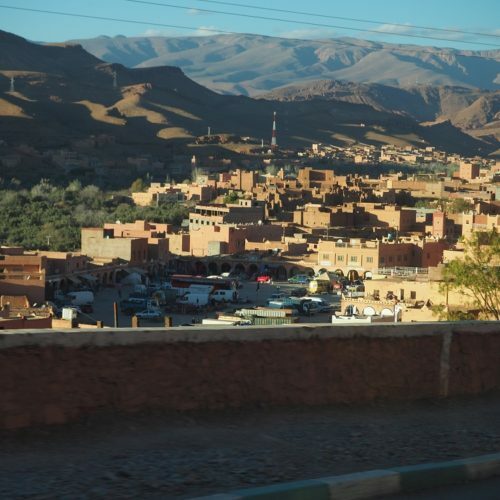 There are some shops where you can buy alcohol in Marrakesh and Ouarzazate, but the choice is very limited and can be expensive. 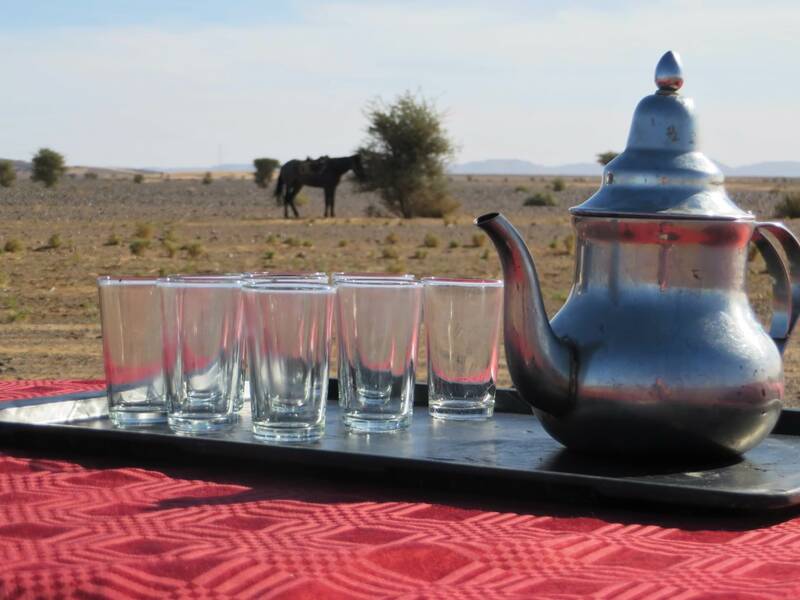 We recommend that you bring your own alcohol from home or from duty-free if you wish. 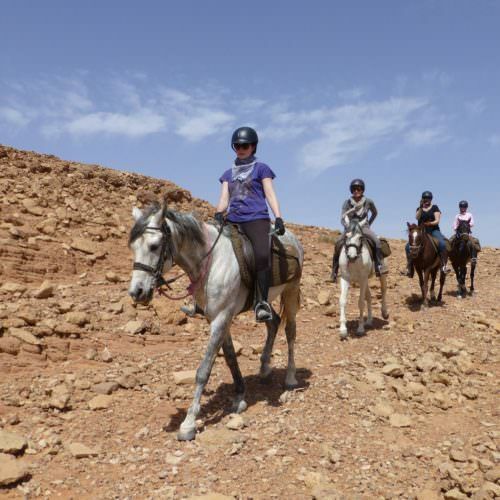 This itinerary is scheduled during the cooler months of the year and will be guaranteed to run with two guests in the group. 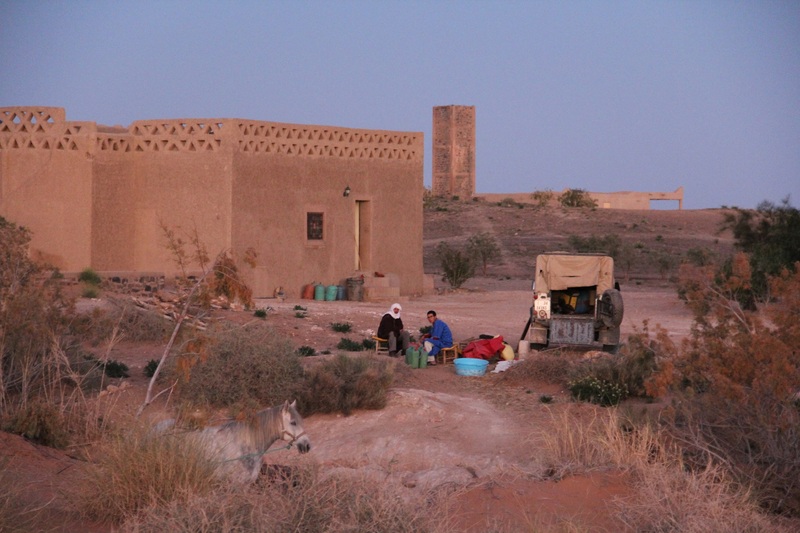 SMALL GROUP SUPPLEMENTS If there are only two people confirmed, there is a supplement of £376.71 per person. 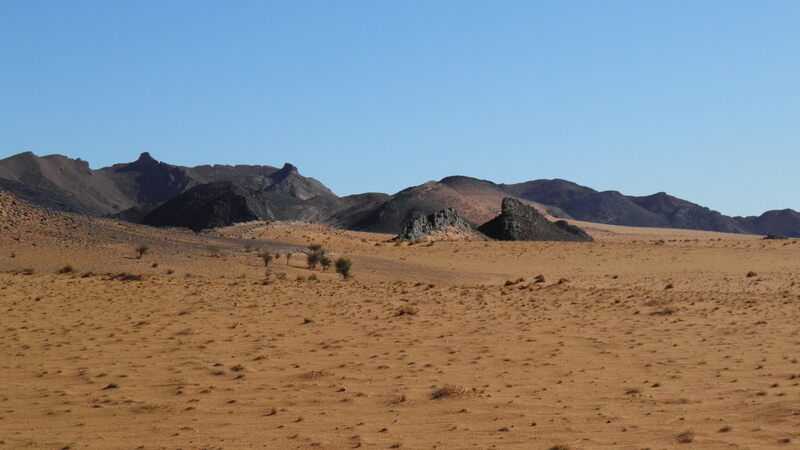 This will be removed once there are three or more people confirmed. 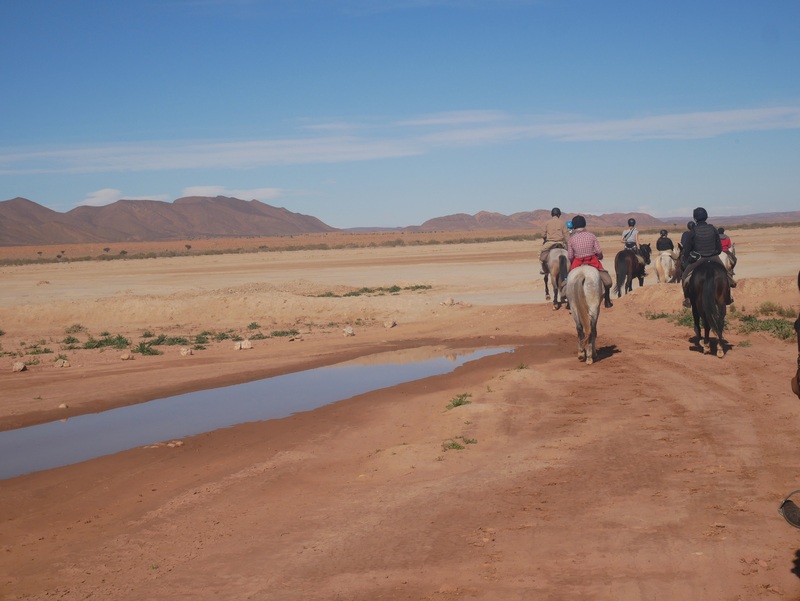 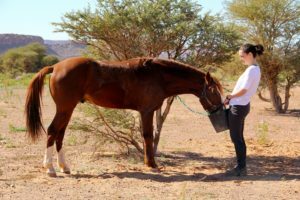 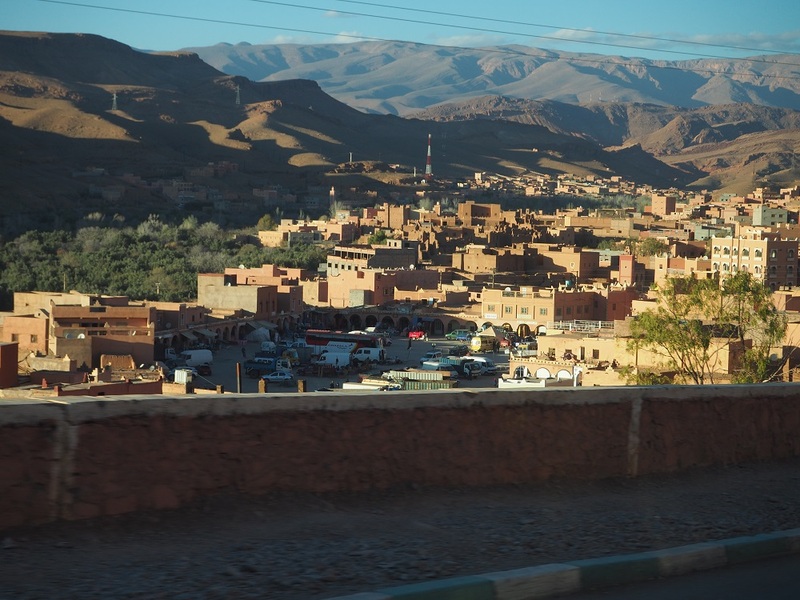 INCLUDES Accommodation; full board (from dinner on night of arrival to breakfast on last morning); riding and transfers from Ouarzazate. 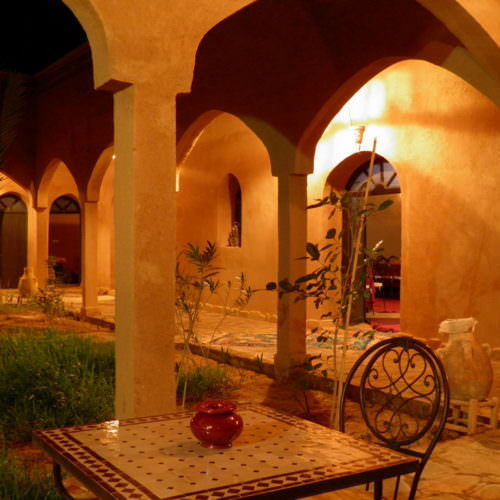 SINGLE SUPPLEMENT A supplement of £196.20 is payable if you are in a single room. 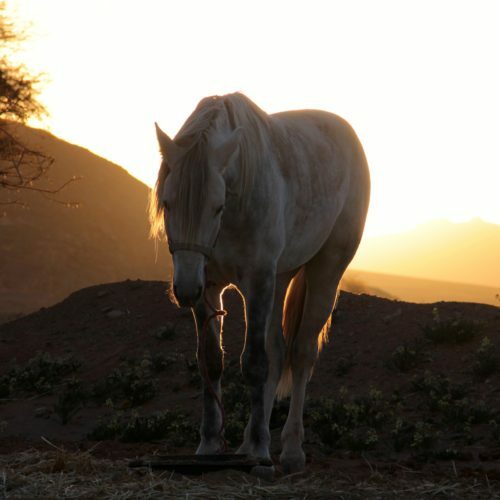 If you are prepared to share this will be refunded once a sharer is found. 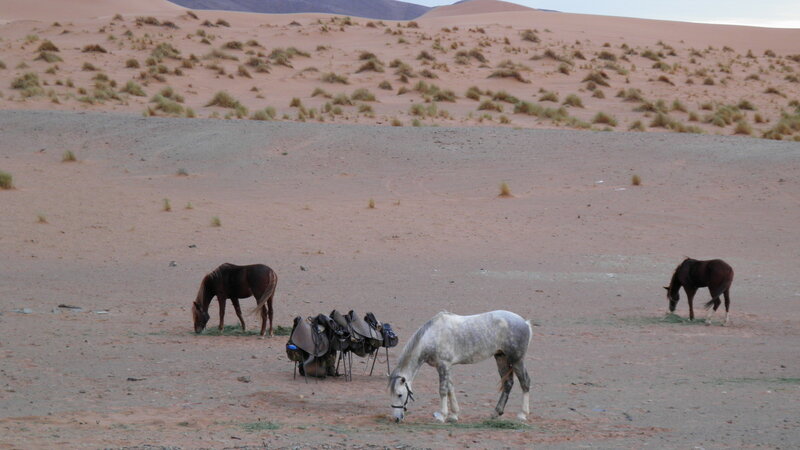 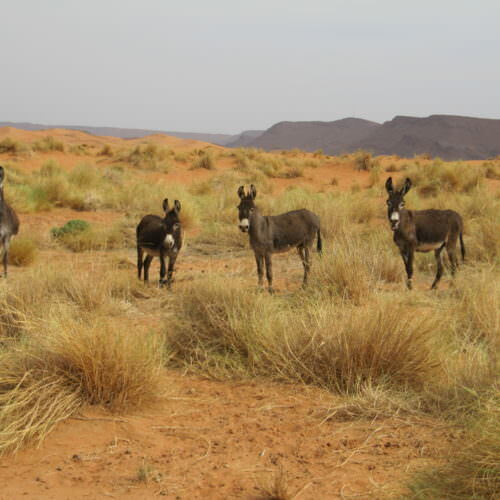 In the south of Morocco near to the Sahara desert. 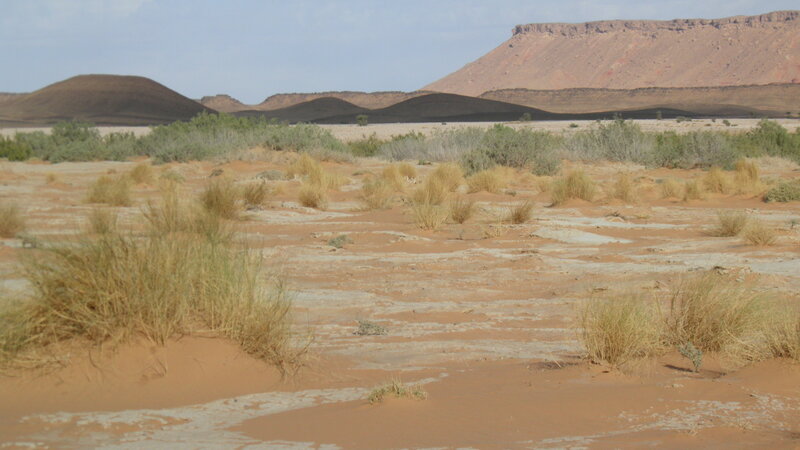 This is a Desert Trail which runs in winter months. 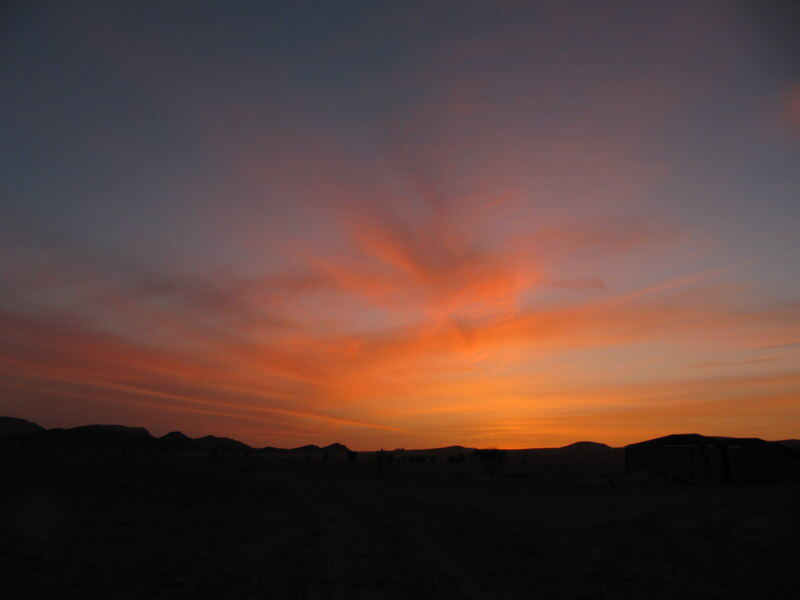 Day time temperatures may rise to 20°C, but the nights will feel cold. 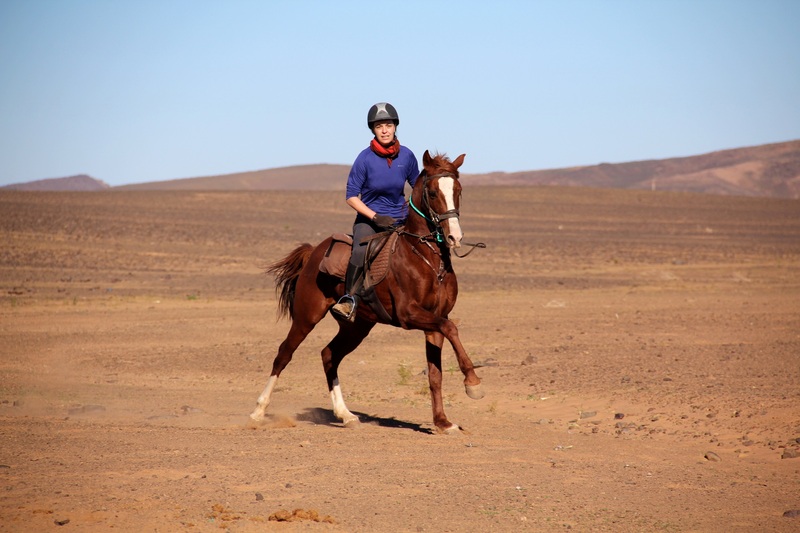 The horses were fun to ride, with loads of personality and energy. 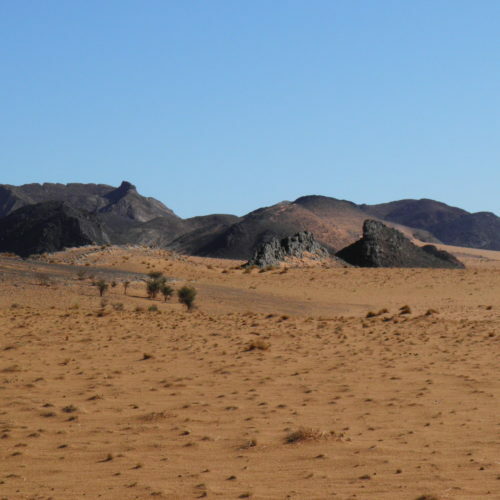 The scenery was amazing, with the landscape changing from soft dunes to rocky mountains and dried out lakes. 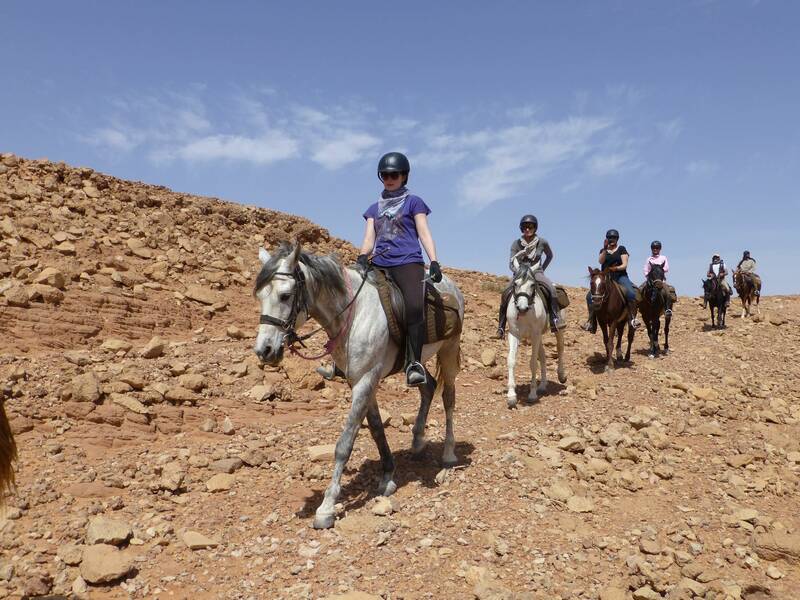 The riding was mostly at walk, but every day offered the opportunity for some fun, fast canters and gallops! 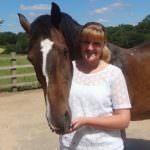 I have never experienced the same level of personal service with other agencies. 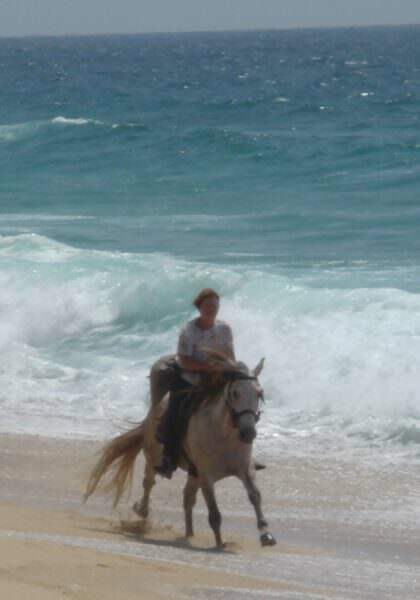 I will definetively use In the saddle again! 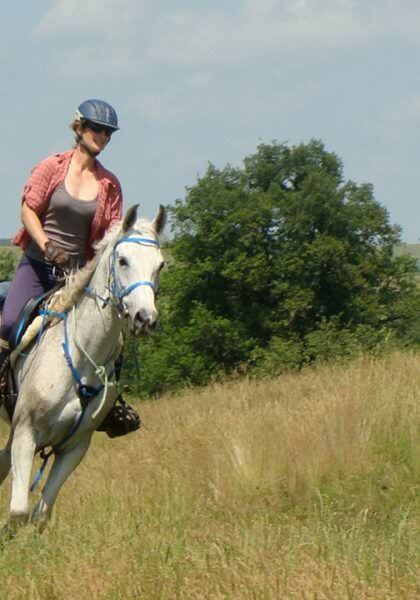 I have been on many riding holidays, and this was definetively one of my favourites. 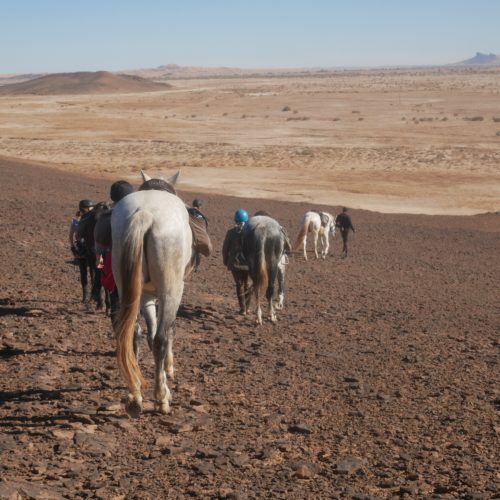 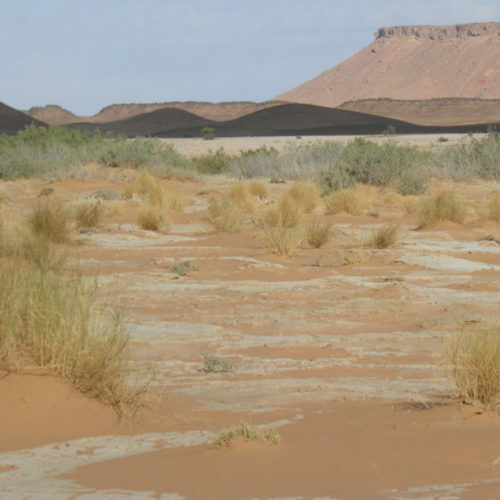 The trail takes you to through a really remote part of the Sahara desert, were you don´t see any other people. 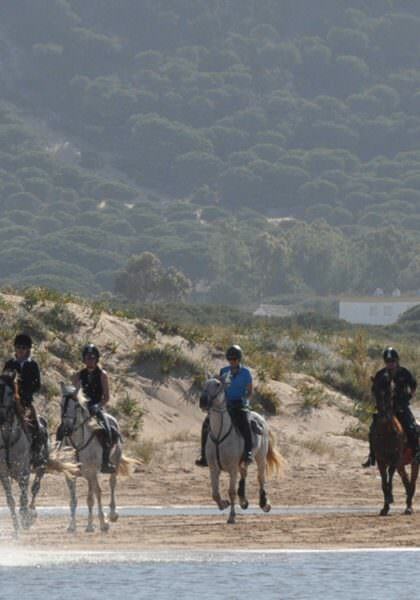 Super loved it! 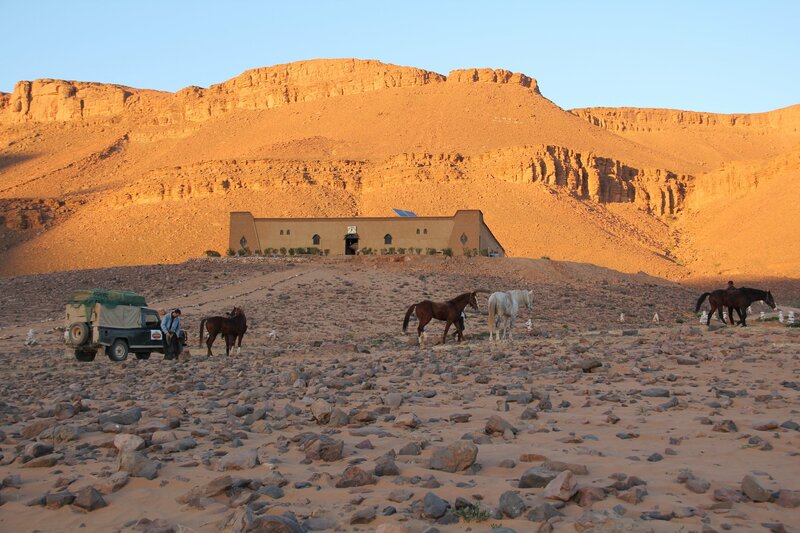 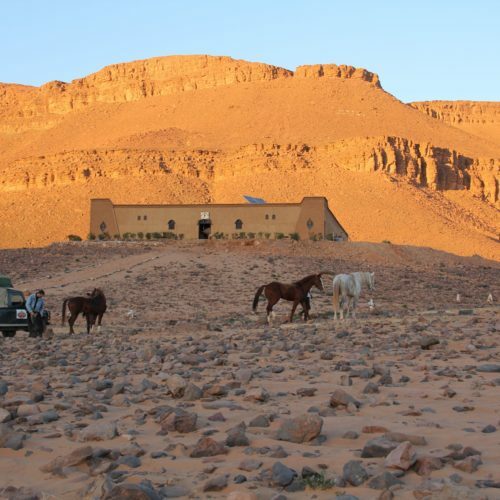 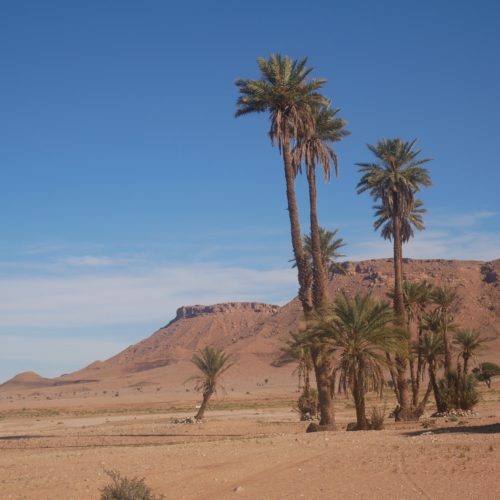 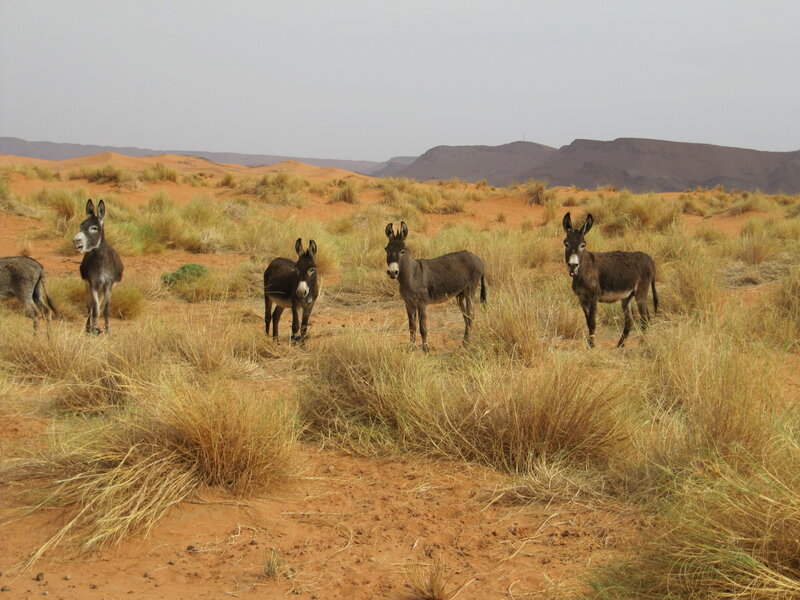 Amazing riding in a remote desert environment with a welcome appearing from no-where in a comfortable riad. 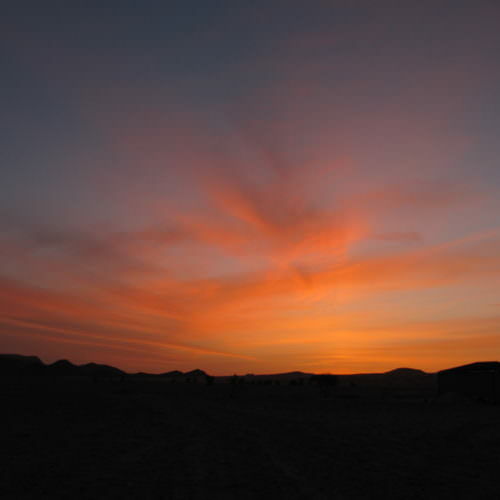 Try to pack as lightly as possible because you will have to carry your bags to and from your bedroom each day.